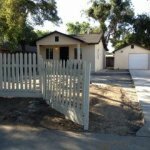 Case Study E Walnut St Stockton: Code Violations and No Money for Repairs are a Disaster in Real Estate. 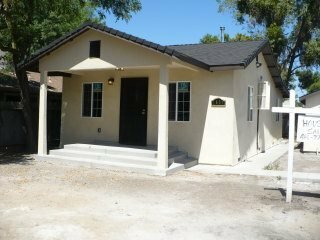 1607 E Walnut St, Stockton CA was a ticking time bomb, with code violations dating back 10 years and $12,400.00. 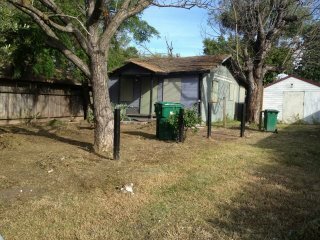 The house had been vacant, vandalized and stripped of wiring and copper pipes. The underbelly of the house with its raised foundation had standing water, dry rot and evidence of termite infestation. Several trees were planted adjacent to the Stockton house that also affected the foundation, the sewer and plumbing and cracked the the concrete floor of the garage. 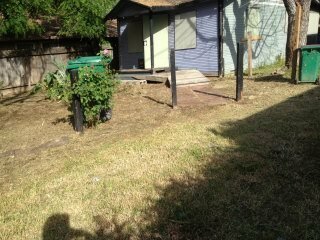 The owner had not dealt with any maintenance issues at the vacant 2 bedroom 1 bathroom family house for several years. He was waiting to sell the house until the economy recovered but code enforcement wanted the many issues of the house addressed immediately. The original house was a 2 bedroom 1 bath with 747 square feet and was built in 1918. 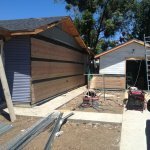 The House had numerous deferred maintenance issues including, electrical, plumbing, deteriorated roof and termite infestation just to name a few. 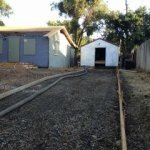 Although the owner had long ago tried to maintain the property, and planned to remodel and eventually rent it out he could not keep up with the maintenance and the ongoing vandalism that ravaged the Stockton home. 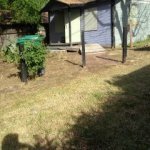 After years of dealing with code violations, the cleanup and their fines and fees the last straw was a visit from the health department stepped in a demanded he fix it or level it. The owner had no money and had run out of time. 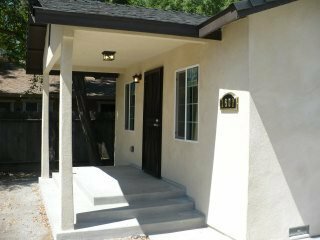 Completely Remodeled 1607 E Walnut Became One Of The Nicest Homes on the Block and Selling with 10 Days of listing. 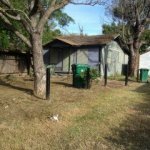 The owner realized that he was unable to secure the house, keep up with all of the repairs and maintenance and was now saddled with a health Department order to fix the house or level it. He he didn’t have the money to do either and the Health Department did left him no options. They wanted the problem resolved. Neighbors were complaining and the property had turned into a problem for everyone concerned. 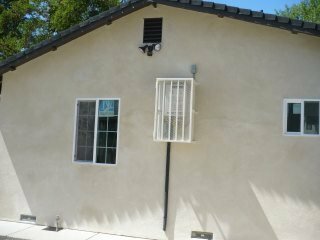 The Owner was interested making sure he had no residual liability after it was sold and he was also interested in getting a fair price for the property. He called me to help him solve the problem once and for all. We negotiated an all cash purchase that would allow him to walk away without and further liability and to close within one week after the City Code Enforcement and the County Health Departments released their liens in title. In order to do that we needed to get the county code enforcement and health departments to abate any more fines and fees until we could submit a plan for the cleanup and repairs. In the process the County approved the sale by transferring all code enforcement and health code violations to me as the new owners. 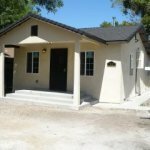 With that agreement in hand we purchased the property from the owner with the intention of fixing and updating the existing structure and also adding another bedroom and bath. The house lacked curb appeal and our challenges we numerous if we were going to be successful in this project. 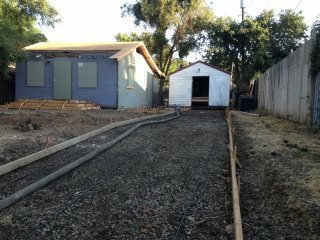 With the San Joaquin County Code Enforcement and Health Departments demanding a massive cleanup a plan for securing the property and required repairs we immediately called for a meeting to negotiate our options. The first objective was to negotiate a time table in which both departments would satisfied without levying any new fines and penalties. 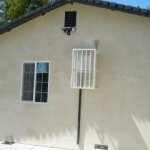 Our strategy was aggressive and we committed to having plans for a remodel and addition submitted within one week of the purchase. 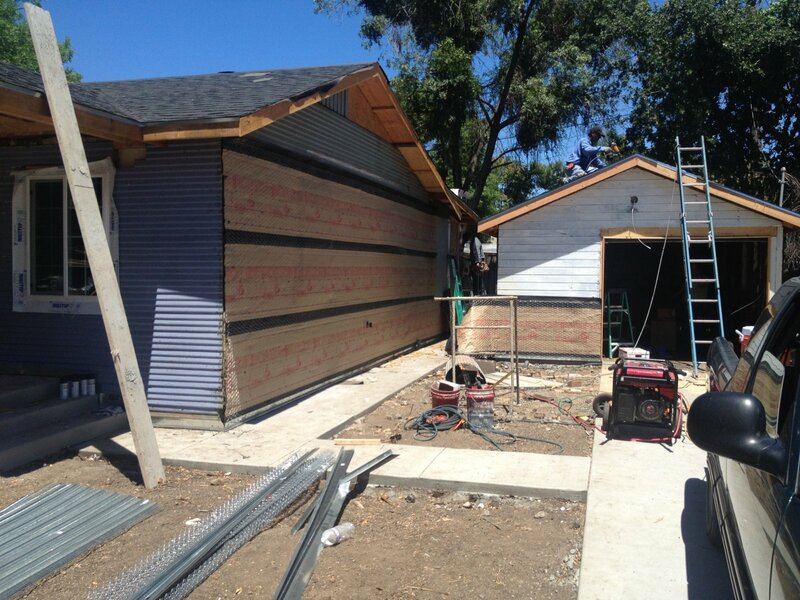 We also committed to completing the project with in 60 days of building plan approval. Buy Leonard’s House, pay cash and allow him to move on with his life. 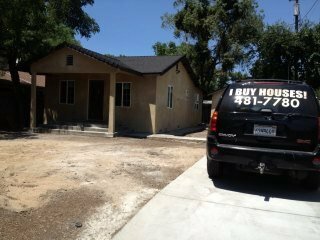 At “Westbrook REI” and “We Buy UGLY Houses Stockton”, we are the best at what we do because we work at it every day. We understand that a commitment to customer and a commitment to our business only happens with hard work. We have years of experience and a plan that we follow. We are a real company with real people that are committed to helping you achieve your goals. Again, we’re not real estate agents. We are actually Stockton house buyers and have our own cash… so we can make you an offer on the spot. Once we make you an offer, you can take that offer, shop it around if you want, talk it over with friends and family, and think about what you want. We won’t pressure you one bit. 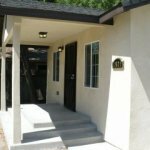 If you want the best LOCAL We Buy Houses Company in Stockton, Sacramento, Manteca and Modesto then give our company a call today, we offer simply solutions to complex selling issues. Our house buying process is very easy with no hassle and we can close on YOUR time. 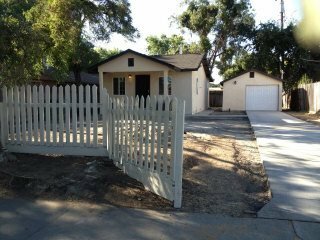 We Buy Houses Stockton CA, Get Your Offer at http://www.ibuyhousesstockton.com or call Peter Westbrook today at (209) 481-7780.